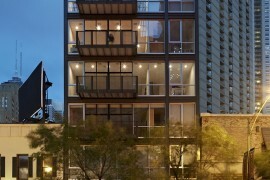 Chicago as a city has a distinct style of its own – everything ranging from food to architecture and art. 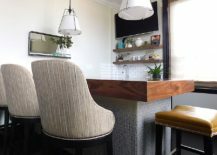 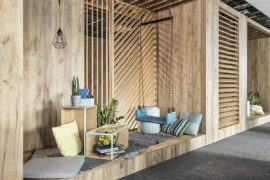 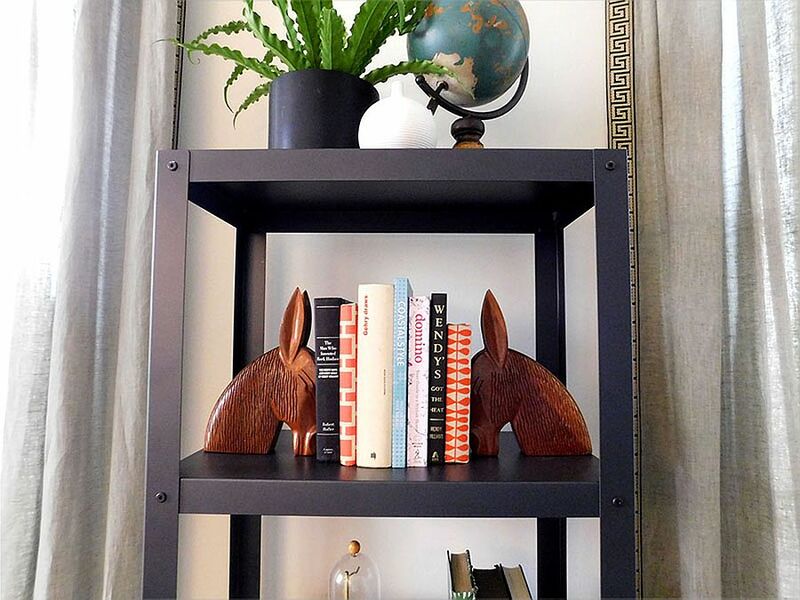 The Belmont project by aims to recreate this unique aura of Chicago in a small home bar and kitchen that sits inside an industrial office space. 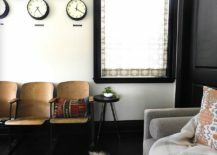 Built for the owner of a bedding company, this smart zone act as a space to host and entertain guests of the CEO, even as it imbibes the industrial flair of the factory backdrop. 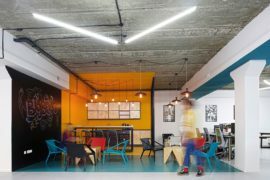 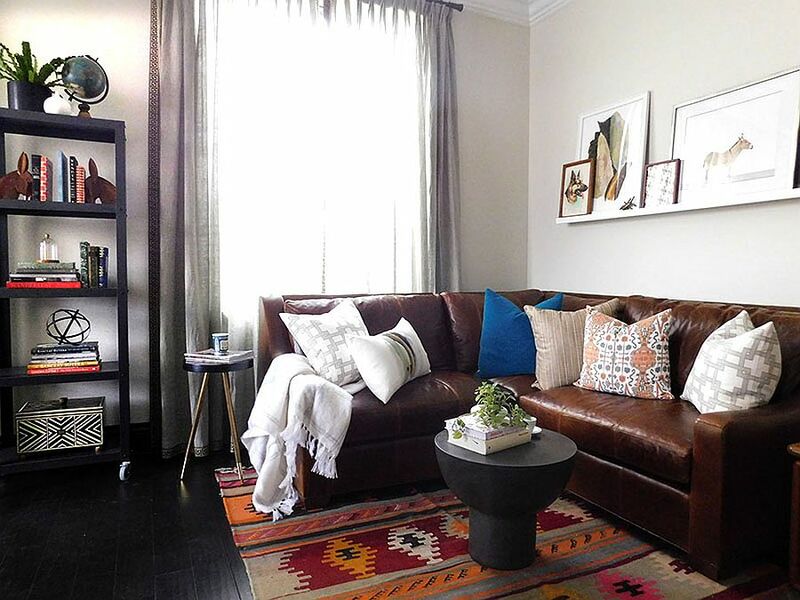 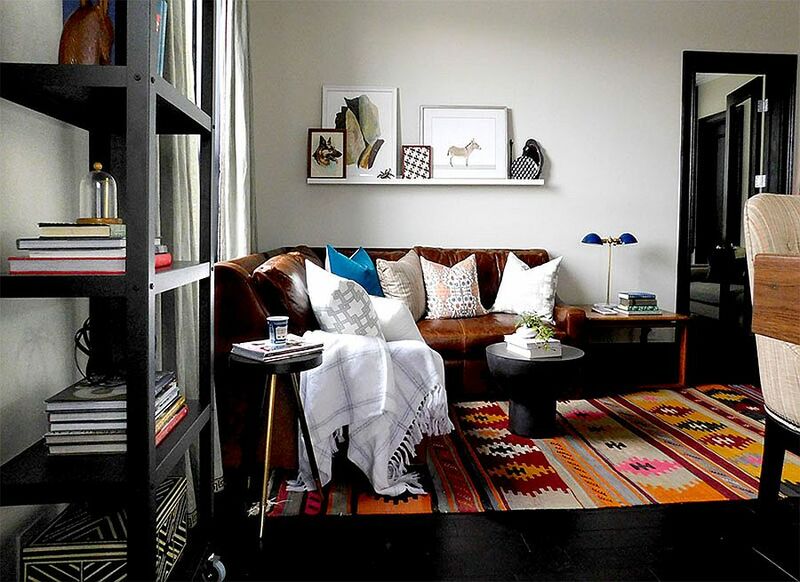 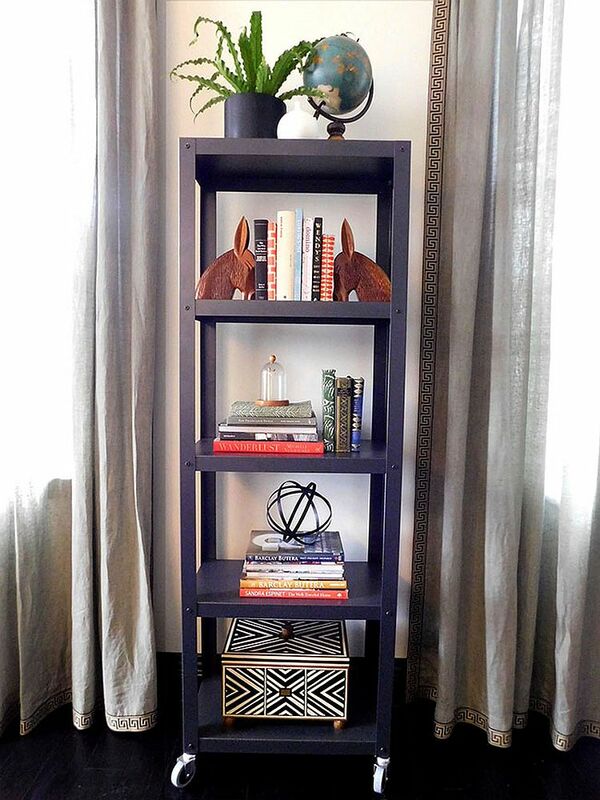 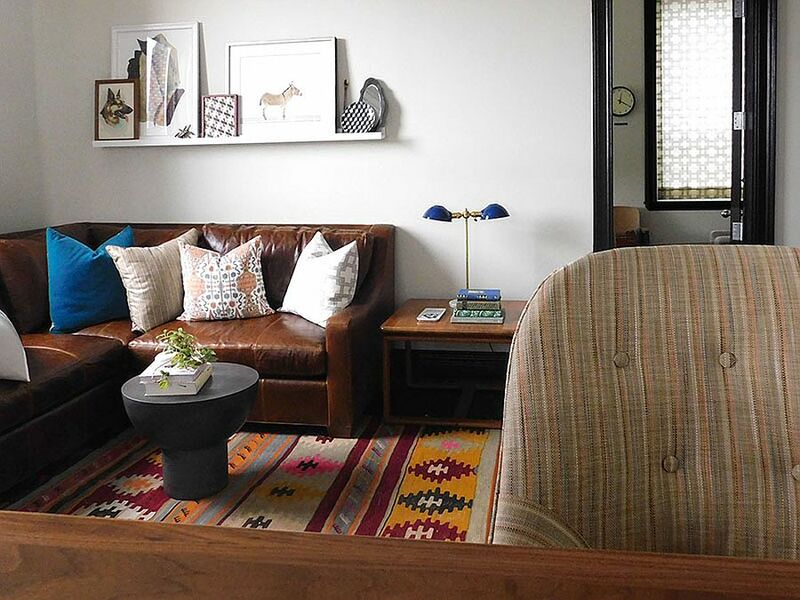 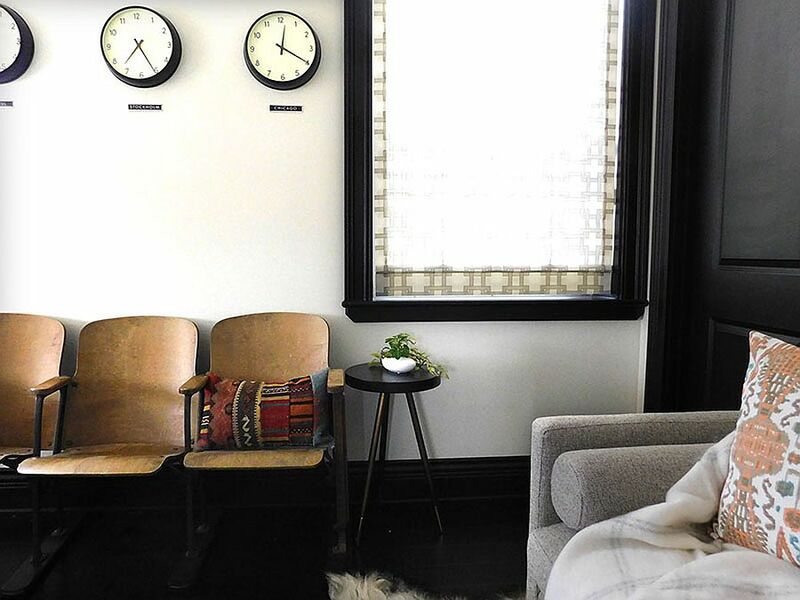 The result is a wonderful mixture of contrasting elements that range from the eclectic to the industrial. 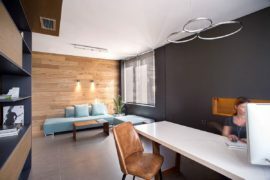 Yet, all of them seem to come together in a functional, modern setting! 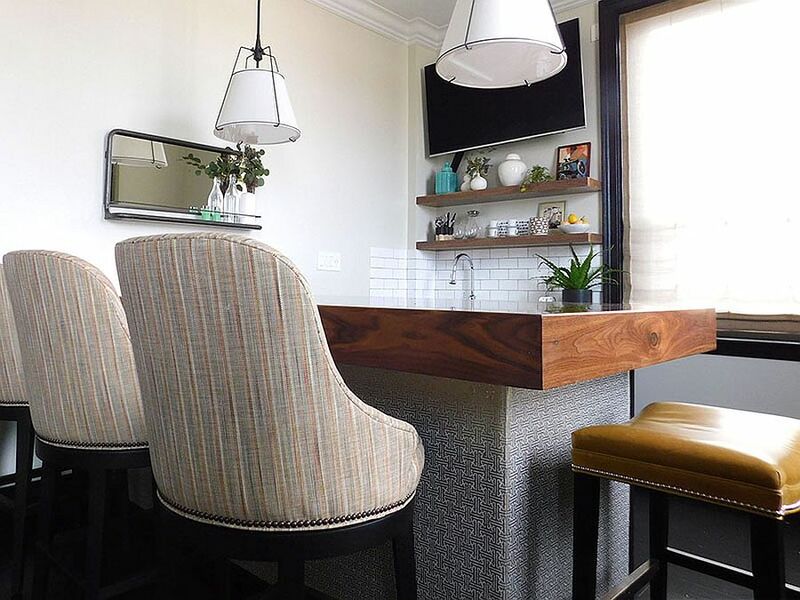 The bar and kitchen area is pretty simple in its design with a modest brown sectional shaping the sitting zone. 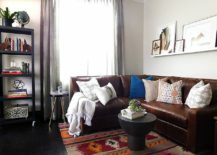 A colorful rug adds pattern to this space even as curated metallic accents and an industrial shelf on wheels give the area an edgier vibe. 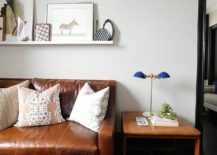 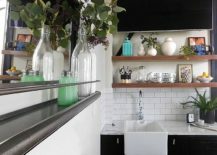 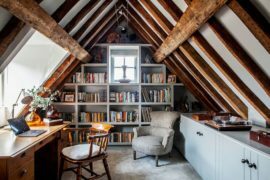 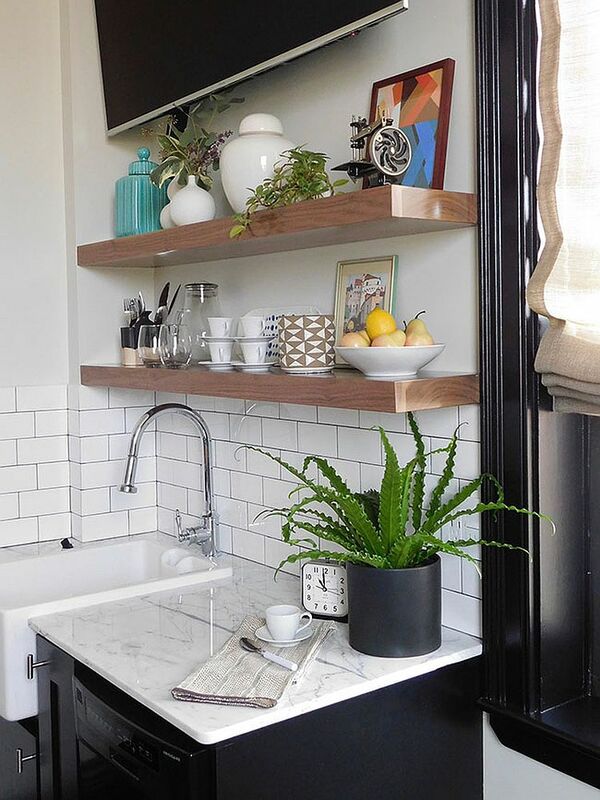 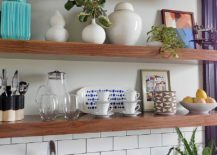 A small floating shelf in white acts as a ledge for picture frames and artwork even as the kitchen and bar are neatly placed in the opposite corner. 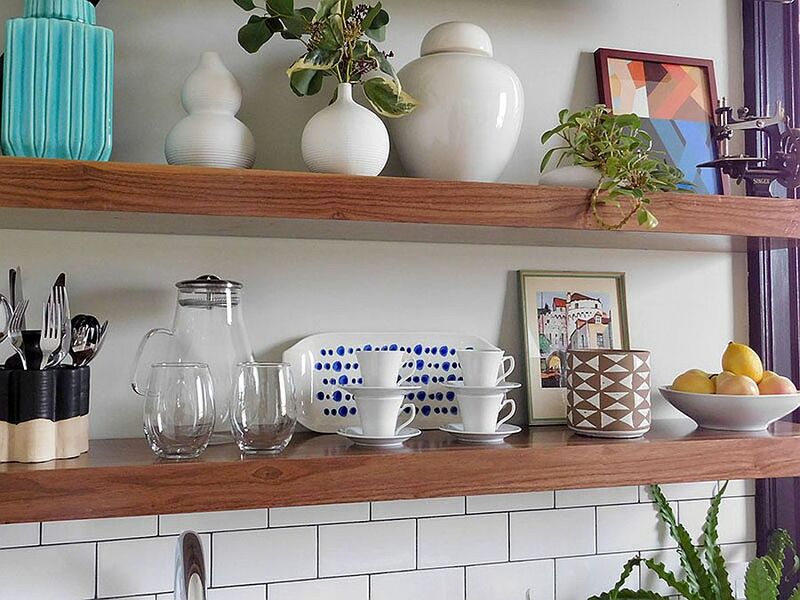 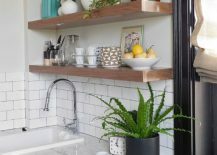 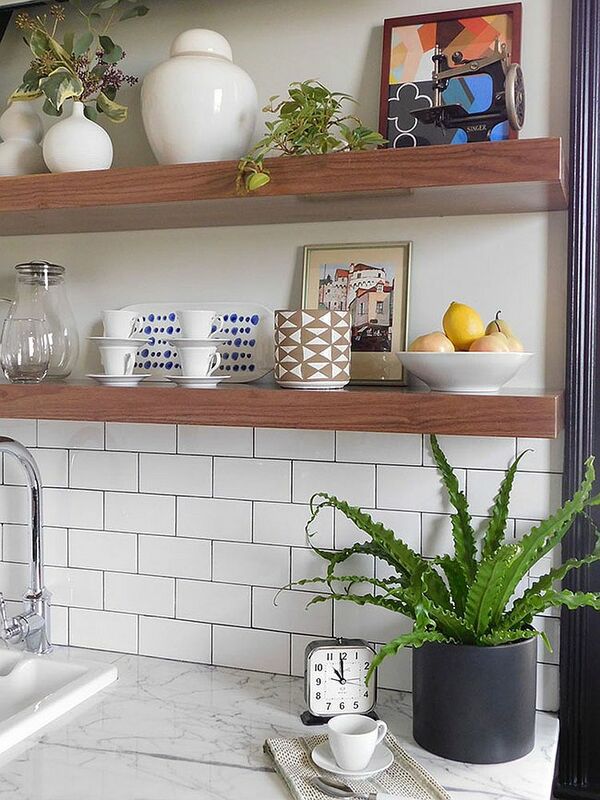 White tiles shape the backsplash in the kitchen while floating wooden shelves offer ample storage and display space. 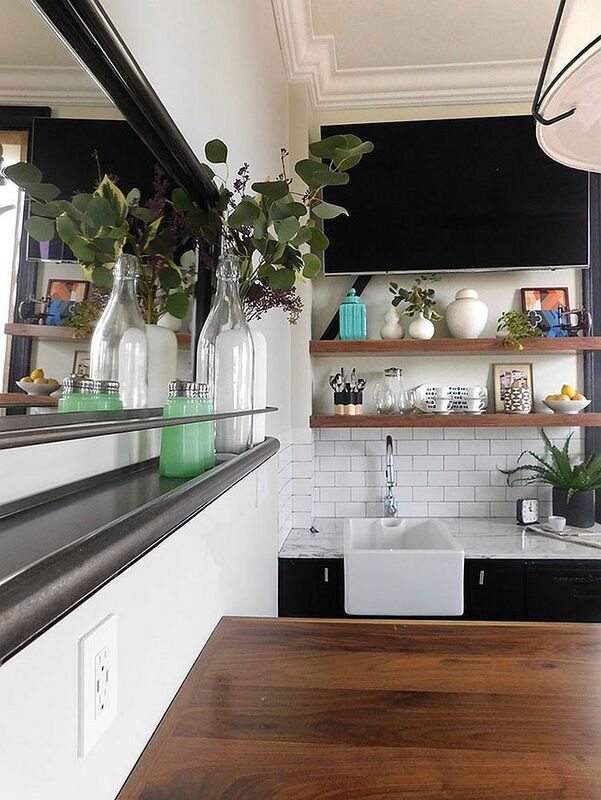 A lovely collection of vases, indoor plants and bold pendant lights in white put the final touches on a vivacious transformation that is lit up by a flood of natural light.